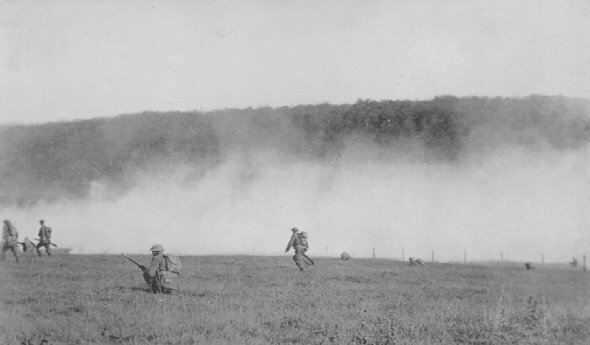 The 318th Inf., 80th Div., advancing through gas clouds, Le Neufour, Oct. 27, 1918. 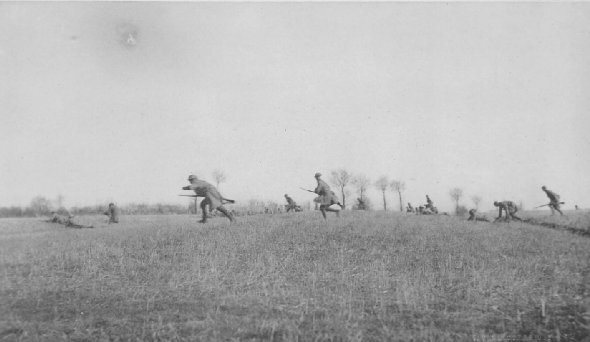 Gas was one of the most effective weapons of the war. It neutralized artillery, interfered with movement, hampered communications, made rest camps untenable and penetrated into the deepest dugouts, which were immune against high explosives. Going over the top, following barrage. Members of 310th Infantry, 78th Division, Captain Hudson Miller in command.